Have your unforgettable weekend getaway at one of the best beach destinations in the Philippines. Lies in the municipality of Nasugbu, Canyon Cove Hotel and Spa is just a two-hour drive from Metro Manila. This paradise invites travelers to take a break from the steadfast pace of work. 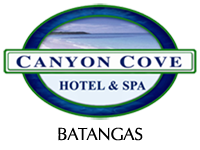 Canyon Cove enjoys its fame because of its outstanding hospitality services. It is an eco-tourism destination, surrounded by nature. 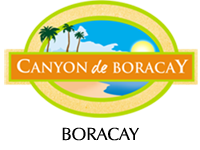 Canyon Cove is considered a fascinating gem because of its captivating sunset facing the West Philippine Sea. It is the only resort in Batangas that has a breakwater. With this, the breakwater prevents strong underwater currents assuring the safety of our hotel guests. Underneath the blue clouds is the sublime beauty and majestic beach of Canyon Cove. The long stretch of fine white sand shoreline reveals how impressive this cove is. Truly, Batangas has bestowed so many gifts from nature because of its breathtaking natural rivers and waterfalls. One of the stately features of Canyon Cove is the largest recreational swimming pool in Batangas. The pool magnets you to freshen up a bit and the breeze from the palm trees invites you to sit down and read your favorite book. Totally the kind of day you want to experience. 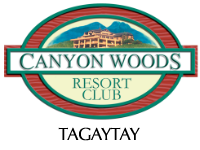 Your staycation in Canyon Cove can’t get any better. You can try the water activities like riding a banana boat, paddle boarding, snorkeling, and island hopping. For sure you will have a lot of fun experience to tell with your friends when you get back home!